See Cindy and Fish from Wood From The Hood at the 13th Annual Green Gifts Fair at Midtown Global Market. 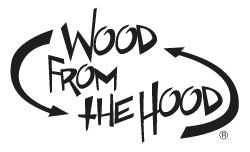 Special show pricing on most Wood From the Hood products at the fair. Come check out our new natural edge cutting boards! The theme this year is Farm to Gift, with canned, pickled or locally harvested goods that will be featured along with winter growing, composting and connecting to the earth activities! Don’t miss Do It Green! Minnesota’s 13th Annual Green Gifts Fair! SHOP | Visit 85 vendors for upcycled, recycled, fair-trade, and locally made gifts. LEARN | Complete an activity passport throughout the fair for (adult and kid-friendly) prizes. EAT | Plan to have lunch or dinner at the Midtown Global Market with over 30 global food options. REDUCE | Explore and plant in our gardens, and learn about the life cycle of clothing including live sewing demos. CELEBRATE | Celebrate your green journey with our community through art, music, and more!